Many of us have a habit of keeping a first aid box handy with us, and one such drug which we always keep in it is Aspirin. Aspirin belongs to the class of “NSAID” (Non-Steroidal Anti-Inflammatory Drugs) and is widely used as Analgesic (Pain Relieving) Anti-Pyretic (For Reducing Fever) and Anti-Inflammatory Effects. However, did you know that Aspirin is also the answer to dandruff, acne, and pimple? Read on to find out about the surprising uses for Aspirin in day-to-day life. However, Aspirin has some uses which we are completely unaware of! 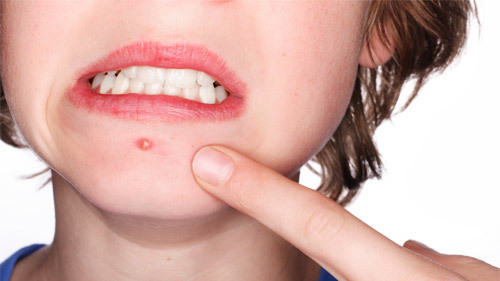 Aspirin can reduce acne and pimples. Being a salicylic derivative, aspirin helps reduce acne and pimples by removing oil and dead skin cells that clog them. It also reduces the extent of inflammatory reaction. Crush 2 or 3 Aspirin tablets and mix them with a little lemon juice or plain water to form a paste. Apply it to acne or pimples. Leave it on for a few minutes before washing off thoroughly. Dandruff is, was and will always be a problem which many people face. In order to get rid of dandruff, one can try aspirin. The salicylic acid in aspirin exfoliates the scalp. It skims the dry skin from your scalp so that the flakes can be washed off easily. Dissolve 2 aspirins in 1 tablespoon of white vinegar. Leave it for 30 minutes, then wash your hair thoroughly. When we are bitten by mosquitoes and other insects, aspirin can help relieve the symptoms. It provides comfort to skin redness, itching, and burning sensation. You can use aspirin to heal nose piercing bumps. The raised red bump usually develops due to infection and may eventually lead to scar tissue. The anti-inflammatory properties of aspirin help in reducing swelling, redness, and skin irritation caused by nose piercing. Mix 4 Aspirin tablets with a little water to make a paste. Apply on your nose piercing bump and leave it on overnight. Rinse it off next morning.